Practically everyone likes brussels sprouts. If you don’t think you like them, it’s probably because you ate them as a kid. Back then, your taste buds were more sensitive, and your instinct was “bitter = poison.” Now, as an adult, your sense of taste has changed, and you might have developed an appreciation for bitterness. Hence your parents liked them. So if you’re looking to get reacquainted, or if you’re an avid sprout fan, check out the recipe below. Heat a heavy-duty saute pan, add the Eureka Lemon Olive Oil or Roasted Garlic Olive Oil. Add the shallot and saute over medium until translucent. Add the cremini mushrooms and brussels sprouts over medium-high heat until they begin to caramelize (about 6 minutes). Add the 2 tablespoons of Pomegranate Balsamic to the pan stirring and scraping to deglaze it. 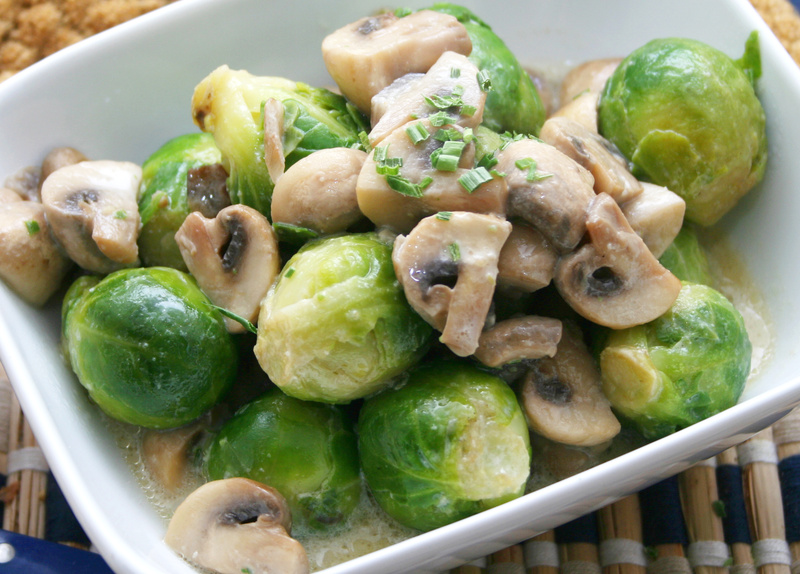 Be sure to scrape up any browned bits of mushroom and shallot on the bottom to coat the brussels sprouts. When you take your first bite, you’ll realize what you been missing out on. Or maybe you’ve found your alternative to bacon and brussel sprouts. Regardless, it’s not just how you cook, but it’s what you cook with. The fused flavors of the extra virgin olive oil and the balsamic vinaigrette are what really makes this dish stand out. Stop to Kalamazoo Olive Company for our wide variety of premium extra virgin olive oil and balsamic vinegar.